Yoni Arya, is Shutaf’s Young Leadership Coordinator. What was your first connection to the field of disabilities? I have ADHD, so growing up I was in a school where they didn’t know anything about what I was doing and they just tried to medicate me. Most people just pushed me to the side because I was being annoying and they didn’t know how to deal with me. Who was the first person you remember encountering with special needs? I remember there was a neighbor I had with severe psychological needs. I remember him being different and I was conscious of it. Everyone kind of laughed at it. As someone who grew up with a younger sister with special needs, were there times that you felt your sister got all the attention? No. In fact my sister was the easy one. I was the hard one! I never felt like she got all the attention. It’s hard for me not to be the center of attention! Were there times you had to stand up for your sister? My sister’s disability isn’t something you see so thankfully, we haven’t really bumped into people that were mean or making fun of her. We’re very protective of her but we haven’t had a need to protect her. 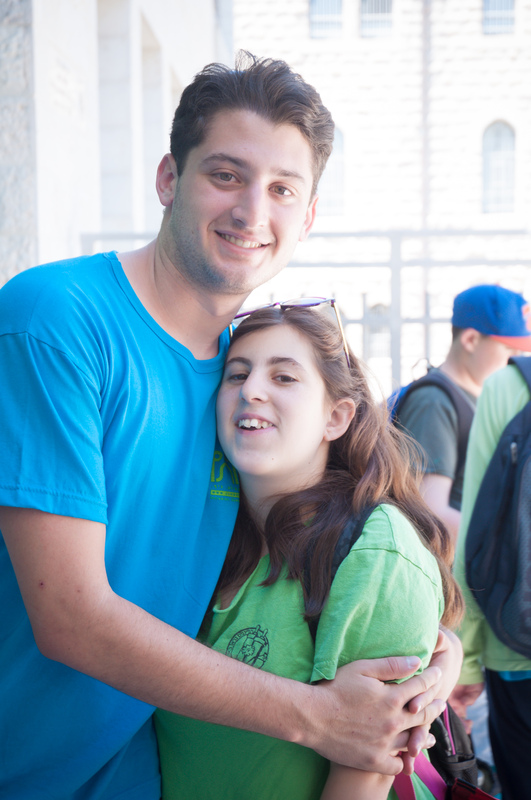 What is your role as a sibling of an individual with special needs? To provide as much normalcy as possible. As a sibling, I would treat her any way I would treat any other sibling. What do you see your role being as your sister gets older? As she gets older, I think I’ll be the one taking most of the responsibility, if it’s not my parents. As she gets older, hopefully she’ll have a community, but I’ll be her support system and she’ll be at my house for Shabbat. Were other kids in school growing up conscious of the fact that you had a sibling with special needs? I don’t hide it, but it’s not something that comes up unless someone asks me. I don’t feel like I need to tell people before they come over to my house, “Hey, my sister has special needs.” I don’t need to warn you about how she’s different. What did you learn from your sister? I think I learned most that people portray what they want you to see. People are very different with their family than how they are outside. I’m with my sister, Gabby, all the time, and I know she acts very differently at home than when she’s out with other people!